Disclaimer : The product is sponsored by Urmatt Ltd however the recipe and comments are purely based on my cooking experience. 1. 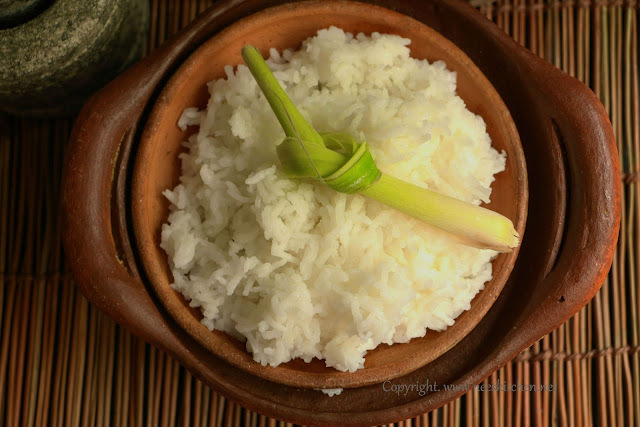 Remove the outer skin of lemongrass and cut the lemongrass into 3 pieces. 2. Crush the cardamom using a mortar pestle. 3. Wash the rice and add water. 4. Add lemongrass and cardamom. 5. Cook them in a rice cooker. 6. Once cooked, remove the lemongrass and cardamom outer cover. 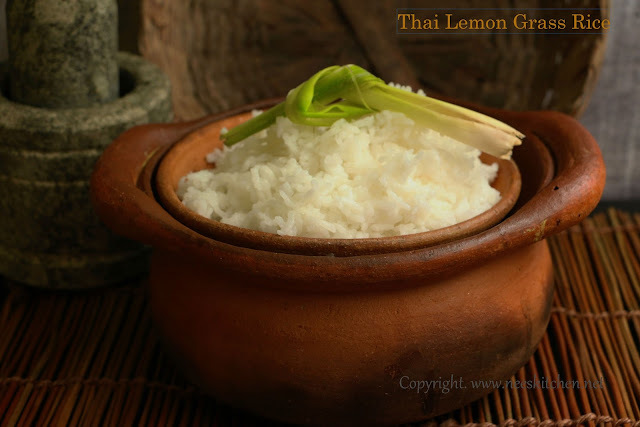 Lemongrass rice is ready to be served with any simple thai veg curry. I have not tried in pressure cooker hence not sure how much time and water proportions needs to be changed.